A little sand, a little sea! 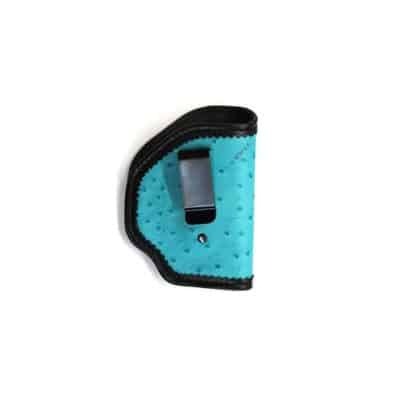 Turquoise Rose IWB Holster provides exceptional concealment and has a super strong belt clip to ensure holster and gun stay in place, while the conforming leather provides all day comfort. 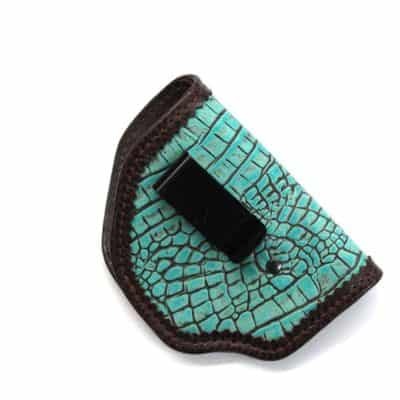 Turquoise Rose IWB Holster by MoonStruck Leather. Luxury leather, like all MoonStruck Leather products, provides the backdrop to this comfortable, conforming IWB Holster. Made to fit a variety of gun sizes and leather conforms to body and gun quickly. 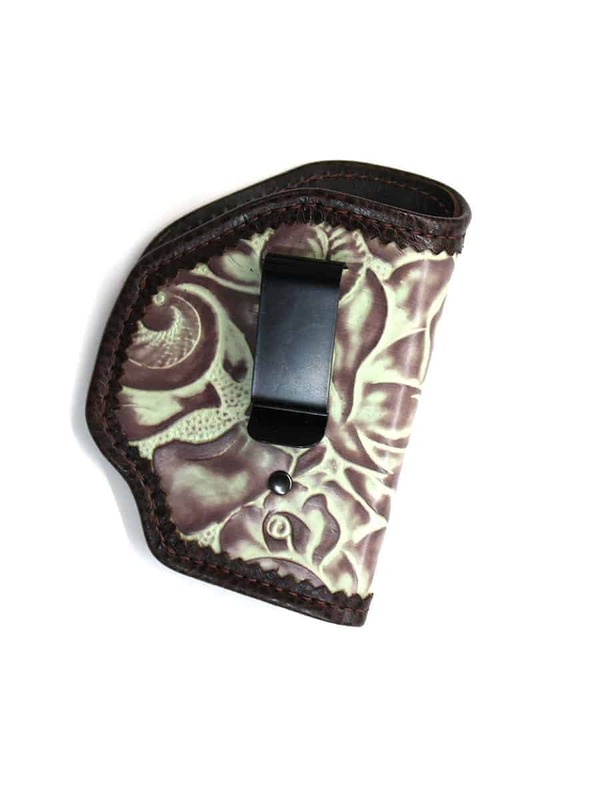 If you have a special gun size, or a particular gun, contact us to order a custom fitted holster. 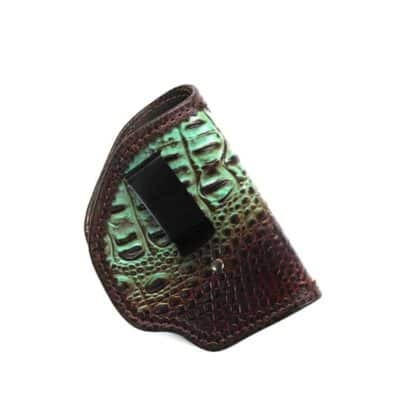 Handcrafted with only the finest Italian leather, our Turquoise Rose IWB Holster is the perfect partner for women and men who prefer to carry on body. Snapped snuggly on belt or waistband, the MoonStruck IWB holster stays secure for all day long comfort. 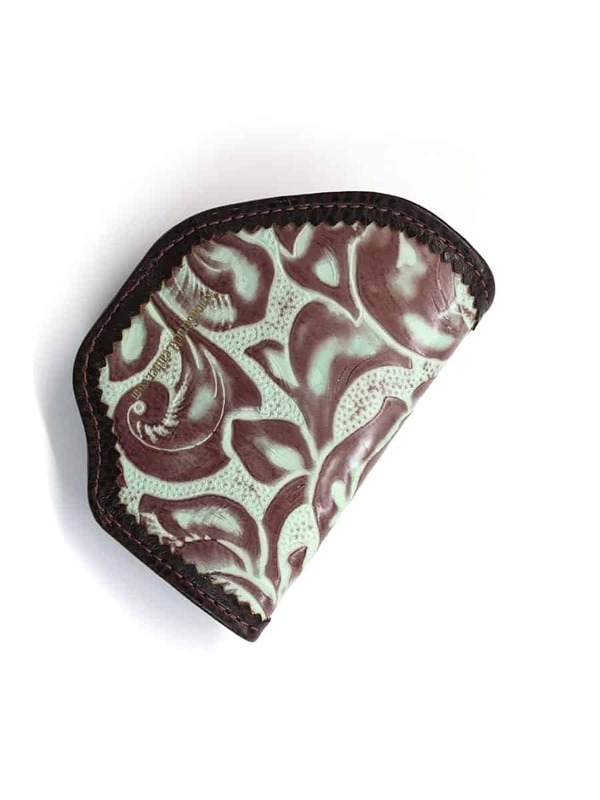 If you prefer a high shield version of the Turquoise Rose IWB Holster, contact Beckie Moon to custom order.